Join community and faith leaders and special guest Sister Helen Prejean for a panel discussion on the death penalty in America. The forum will be followed by a reception and book signing of A Case for Life: Justice, Mercy, and the Death Penalty. This event at Holy Innocents' Episcopal Church is free and open to the public. To accompany the authors, Sister Helen Prejean, author of the international best-selling book, Dead Man Walking: An Eyewitness Account of the Death Penalty, will provide her perspective from the front lines advocating for the abolition of the death penalty since 1981. The Most Reverend Wilton D. Gregory, Archbishop, Roman Catholic Archdiocese of Atlanta, will also speak on how Catholics are opposing the death penalty. Within the new book, five authors make compelling arguments against the death penalty from their own perspectives – among them lawyers, faith leaders, and a supreme court justice. Their personal experiences with both victims and perpetrators provide a moral case for ending state-sponsored killing. 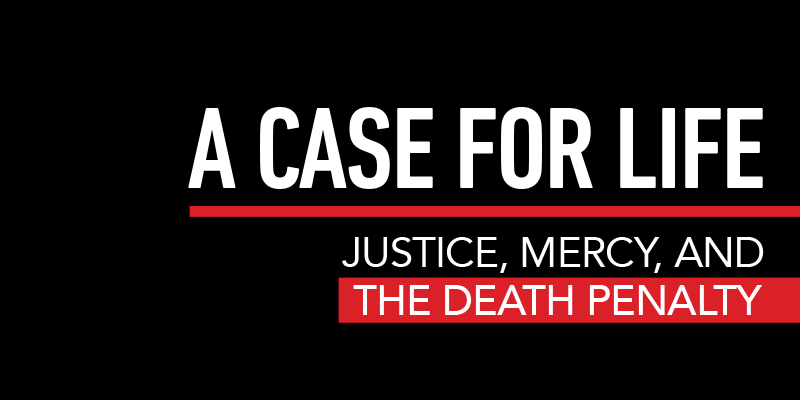 Copies of A Case for Life: Justice, Mercy, and the Death Penalty will be available for purchase at the event.